Looking for a General Contractor in Whitewater, WI? An established general contractor in Whitewater, Wisconsin since 2013, Serenity Concepts LLC has completed projects of every size from small to large. We're dedicated to bringing your construction and remodeling dreams to life efficiently and affordably. 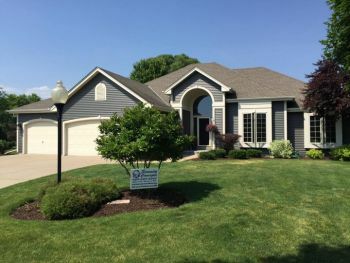 Serenity Concepts LLC has built a solid reputation in Whitewater, completing home additions, new construction, kitchen remodeling, bathroom renovations and finished basements for countless satisfied clients. We have worked to make homes where families can live green and comfortable. Committed to our community and the people who call it home, Serenity Concepts LLC is a Whitewater general contractor known for service and responsibility. Large projects require diligence and nearly constant attention. Serenity Concepts LLC will stay in touch with the sub-trades, suppliers, local governments and inspectors involved, ensuring every aspect of your project runs as smoothly. But we will also remain in contact with you, responding to your inquiries, answering questions and solving problems together. That’s what Whitewater homeowners need in a general contractor. Whether you are considering a home addition, deck or roofing project, cost and billing procedures are major factors. Serenity Concepts LLC remains competitive in the Whitewater market and provides clients with detailed costs from the estimate stage, right up to completion. When partnering with Serenity Concepts LLC homeowners understand the work their Whitewater general contractor is doing and exactly what they’re paying for. For leading service and a commitment to the community, you need a general contractor in Whitewater, WI that you can trust. Serenity Concepts LLC offers the reputation you want in a contractor, along with the detailed billing and performance you need. Call today at (262) 295-2145 to learn more about how our firm can help you build your dreams. 5★★★★★ - "We had a pleasant experience with this company. The employees were friendly, helpful and very professional. Serenity Concepts handled the majority of the work in filing a claim with our insurance company, making sure to explain everything thoroughly to us. Very knowledgeable, making the process smooth and easy, from start to finish. We would and have been referring friends to use Serenity Concepts for their home update needs." 5★★★★★ - "I have never had to replace a roof. Serenity Concepts professionally guided me through each step, each decision, and helped in navigating the insurance and mortgage company channels. The owner is courteous, friendly, and extremely helpful. He was in contact from beginning to end, and his roofing crew performed with equal professionalism and courtesy. The crew maintained a clean and safe work environment and worked diligently to complete the roof on schedule in spite of cold mornings. Would recommend Serenity Concepts and work with them again. The new roof looks great." 5★★★★★ - "I would like to thank Serenity Concepts LLC for the wonderful job they did reroofing my house. They took care of EVERYTHING from start to finish. The installation crew were all hard workers and they did a great job on the clean up. Thanks Again"
5★★★★★ - "This company is great. I have nothing but great things to say. Everything turned out wonderful. The quality of their work is 100%. They even redid a couple of things on their own cause they felt it wasn't 100%. They constantly kept me updated of the progress on a weekly basis with a phone call. They are very easy to work with. They also worked with my insurance company for me, saved me the time and got me what I needed. I found them because I saw a bunch of their signs in my neighborhood for other houses that they were working on. They were very popular in our neighborhood and did a great job on everyone's houses." 5★★★★★ - "The Serenity Concepts team is very honest and trustworthy. They were in no way pushy and were quite patient while I was working with my insurance company to get my claim approved. They did a great job on my roof and window trim and did everything extremely quick. They even did some extra work and didn't charge me for it. I would recommend them to anyone." 5★★★★★ - "Serenity Concepts LLC did an excellent job replacing my old roof with a beautiful, quality, new roof! I am so pleased! Nicholas was so personable and knowledgeable and did an excellent job communicating with me throughout the entire process. I highly recommend this company." 5★★★★★ - "Shaun was such a wonderful person to deal with. He handled my claim to the insurance company completely. He would call me every Monday morning to update the progress on the job. Every time and date were just what was promised. I would fully recommend his company to anyone." 5★★★★★ - "Serenity Concepts did an outstanding job on the house siding project. They are very reliable and dependable. Serenity Concepts and the crew went above and beyond and their quality of work is exceptional. They helped make my dream come true. The house looks absolutely beautiful. I would definitely recommend them to all of you." 5★★★★★ - "I can't speak highly enough about Serenity and their employees! They are very professional, always return your calls if they can't answer. No matter how many times you may ask the same question Nicholas was always so nice! Shawn came out to our house, about 1 1/2 hr drive, to bring us 2 samples we wanted to see, now that's service!! Nick was here when the insurance adjuster came, that made us feel better because this is the first time we've ever filed a claim. He would explain everything, in layman's terms, so we could understand. The group that did the roofing were awesome!! They came at 7am, didn't leave until 7pm, they were singing and laughing, you could tell they really enjoyed what they were doing, and they were doing it very good! After their first long day they came the next morning at 7am, worked through lunch, they were singing and laughing this day also, even though they had a late day here the day before! They were done with the roof, cleaned up very good, and were on their way by 4pm!! JOB VERY WELL DONE!!! I would highly recommend them, and I have!! Thank all of you so MUCH!" 5★★★★★ - "It can be tough finding quality work at a fair price. I was in need for my roof and siding to be replaced. After I spoke with a hand full of companies I stumbled upon Serenity Concepts. They turned out to be a very reliable company to pick when it comes to roofing, siding, windows, etc. Shaun was a pleasure to do business with. He insured that everything was simple for me as a home owner by getting my roof and siding done in a timely manner and done with quality work. I would like to recommend Serenity Concepts out to anyone in need of a new roof and or siding. You will be satisfied!" 5★★★★★ - "In today's market of uncertainty, we are all looking for a credible company that will do a good job at a fair price in a timely manner. Serenity Concepts was all that and more. We had a barn roof that needed tearing off, new base wood put up, shingling along with all the additional task that go into roofing. They helped us find a solution using quality products at a fair price , scheduled a time that met our needs , provided a friendly and easy to work with team that went above and beyond to clean up after themselves and provide excellent service and workmanship and did this in the time frame we had discusses. I highly recommend this company. Great people! Great Company!" 5★★★★★ - "Recently had a siding job completed by Serenity Concepts. Could not be happier. Shaun made the process very easy, communicated on a weekly basis and made sure he did what he could to make sure we were happy. I was very happy with the quality of work done by Joe and his crew. Would highly recommend." 5★★★★★ - "I took it as a sign from God that I needed a new roof when several shingles fell off my 20+ year- old roof. Serenity Concepts came out within three days to give me a very reasonable quote for the cost of the new roof. Between the initial quote and when the work started, I received weekly phone updates, letting me know when the work would begin. In addition, the owner stopped by the work site several times during the installation to ensure the work was being completed and communicate with me. The owner and his roofing crew found several problem areas on the roof and fixed them without an additional cost to my original quote. The work crew was friendly but professional and did an excellent clean up job. I could not be more pleased and would highly recommend this company to anyone in need of roofing, siding or other exterior home repairs!"